The NEU participates in a number of Pride events across the country each year. 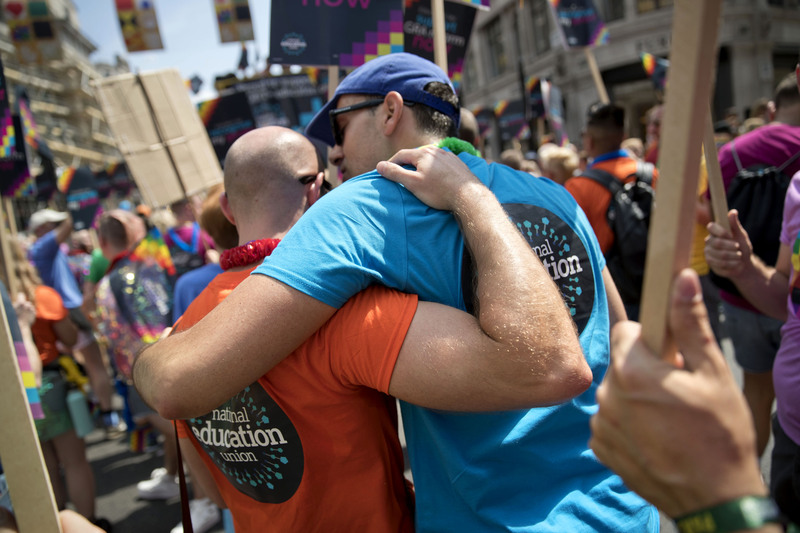 The union’s presence at Pride events sends out a message of solidarity to all LGBT+ teachers and students. Lesbian Gay Bisexual Trans History Month takes place every year in February. It celebrates the lives and achievements of the LGBT+ community. LGBT+ History Month aims to encourage everyone to see diversity and cultural pluralism as the positive forces that they are and endeavour to reflect this in practice. Schools are encouraged to hold activities throughout the month of February. In the last few years there has been much work done, raising awareness and increasing the visibility of transgender issues.